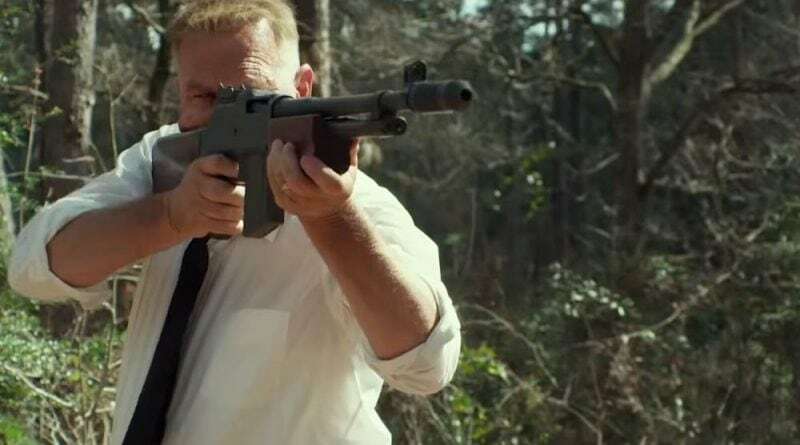 If you recently watched The Highwaymen on Netflix, you may have noticed the use of the Colt Monitor. If you were not familiar with the name, don’t feel too bad. 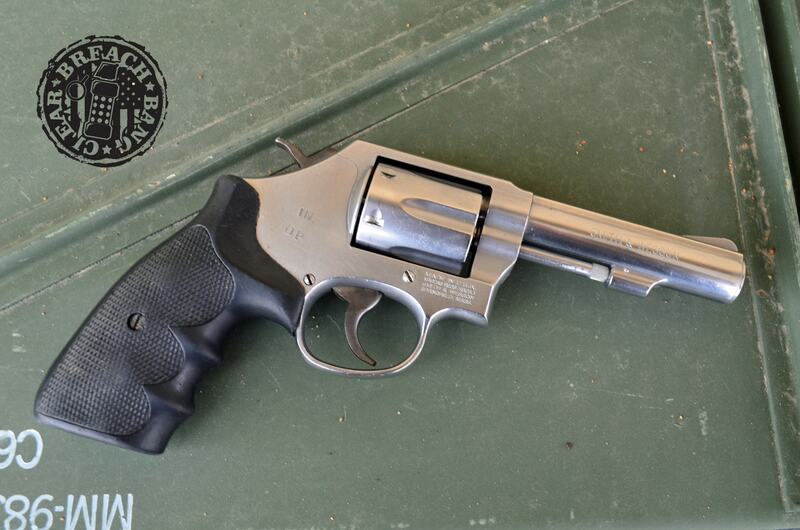 The Monitor is one of the rarest of all of Colt’s firearm designs. Take 20% off with our code — or back us on Patreon and save twice that amount. The Colt Monitor, from Rock Island Auctions, with a focus on the distinctive muzzle device. Colt Monitor shouldered by Ian McCollum of Forgotten Weapons – like the one from the show, except he really is gonna shoot it. 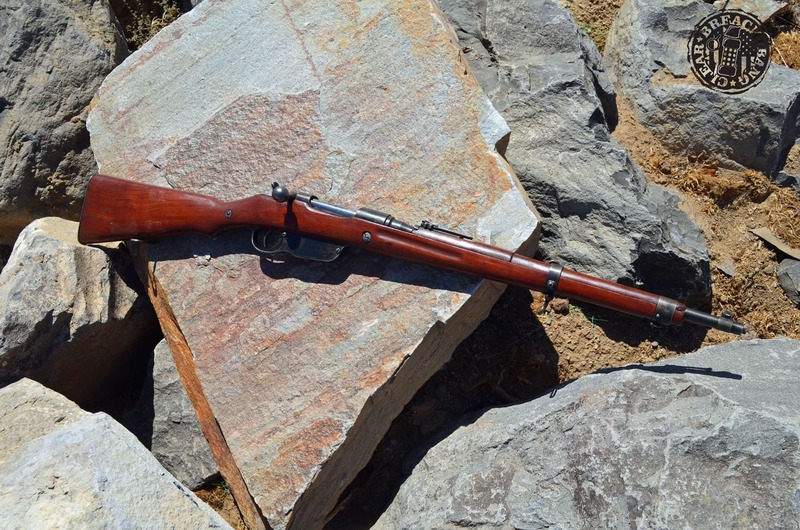 One of the most iconic infantry weapons of the early 20th century was the Browning Automatic Rifle. Developed in 1918 it saw limited use in WW 1 and became standard issue to the US Army in 1938 as a portable light machine gun. The BAR saw extensive service in both World War II and the Korean War and even saw limited service in the Vietnam War. The US Army began phasing out the BAR in the late 1950s when it was intended to be replaced by a squad automatic weapon (SAW) variant of the M14 and was without a portable light machine gun until the introduction of the M60 machine gun in 1957. Originally developed when mounted cavalry was still a thing, the BAR was heavy, with some variants weighing over 20 pounds. Spare ammunition, bipods, barrels, and other parts were intended to be carried via horses. 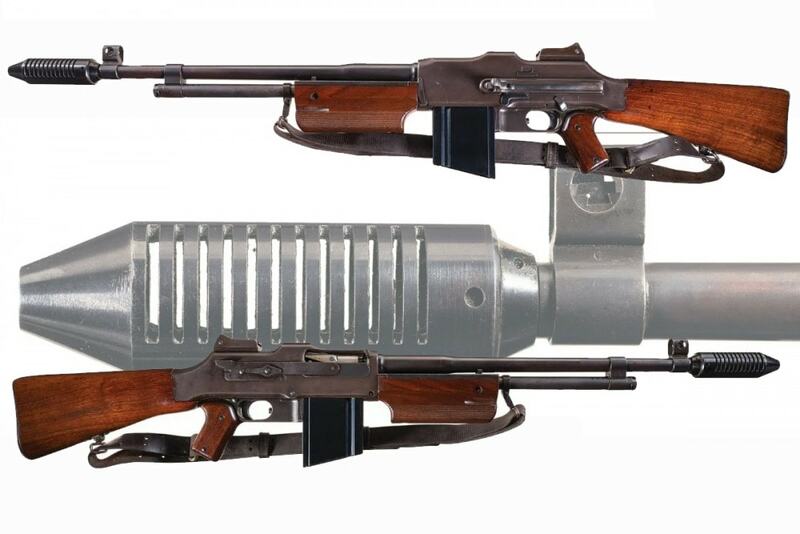 Some attempts were made to make the BAR more ergonomic such as adding a pistol grip, larger forend, and finned barrel. However, they still proved to be a bit heavy and, for the most part, unwieldy. Colt Monitor from a book by J.T. Mullins. 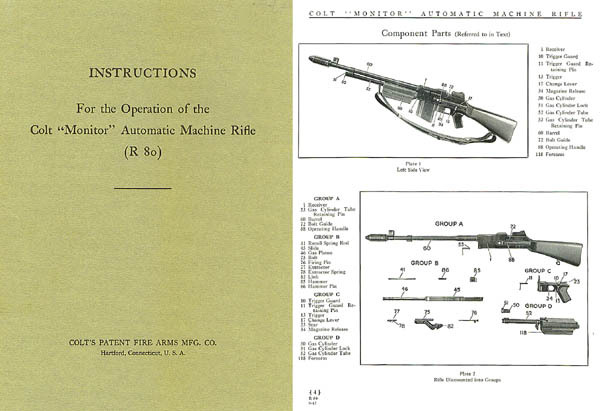 In 1931 Colt Patent Fire Arms Co. attempted to address these shortcomings and introduced the Monitor Automatic Machine Rifle (R 80). Intended for use as a true shoulder-fired automatic rifle, the Colt Monitor eliminated the bipod and mounted a pistol grip and buttstock to the lightweight receiver. They also shorted the barrel to 18 in. and fitted with a 4 in. Cutts compensator made by Lyman. Cyclic rate of fire was about 550 rounds per minute and the Cutts Compensator eliminated much of the recoil of the 30-06 Springfield round when fired on full-auto. What was the Colt Monitor? It was an evolved version of the B.A.R., but it was still a beast. Tipping the scales at 16 lbs. 3 oz. empty, the Monitor had a rate of fire of approximately 500 rpm. 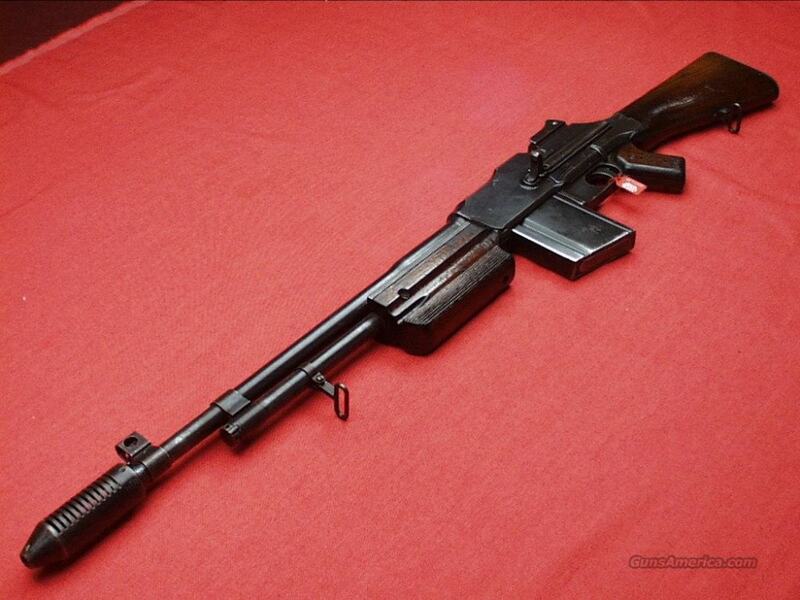 Typically, the top of the receiver will be marked: “COLT AUTOMATIC MACHINE RIFLE/MODEL R 80 CAL. .30/BROWNING PAT FEB. 4. 1919/APR. 14. 1925, AUG. 4. 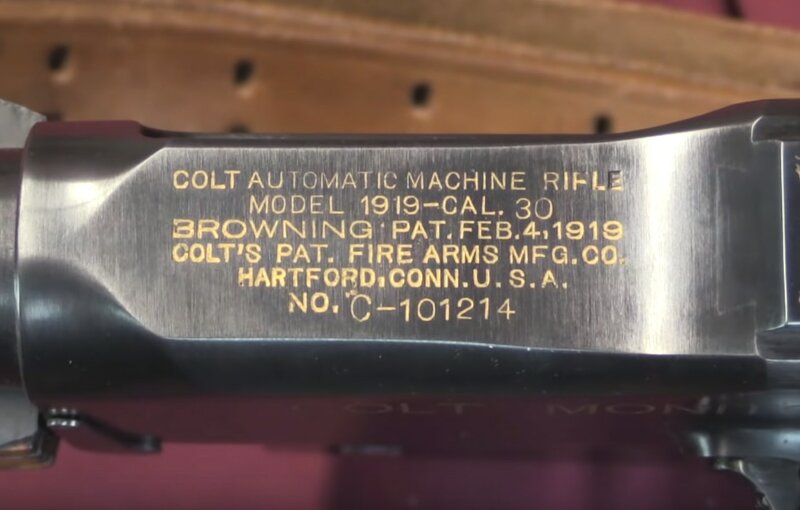 1925/COLTS PAT FIREARMS MFG. CO./HARTFORD, CONN. USA”. The raised area behind the ejection port is marked “COLT/MONITOR”. 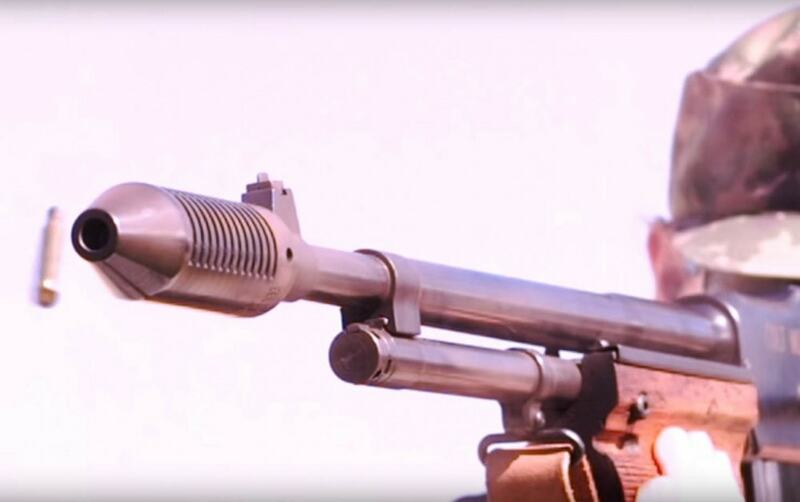 It is fitted with a blade front sight with an integral front sight protector and a tangent rear sight, similar to the Lyman/Thompson SMG sight, that is graduated 2-6 (200-600). It has an all blued metal finish with a walnut stock, forend and pistol grip plates. Help keep us in business. Buy from our sponsors. 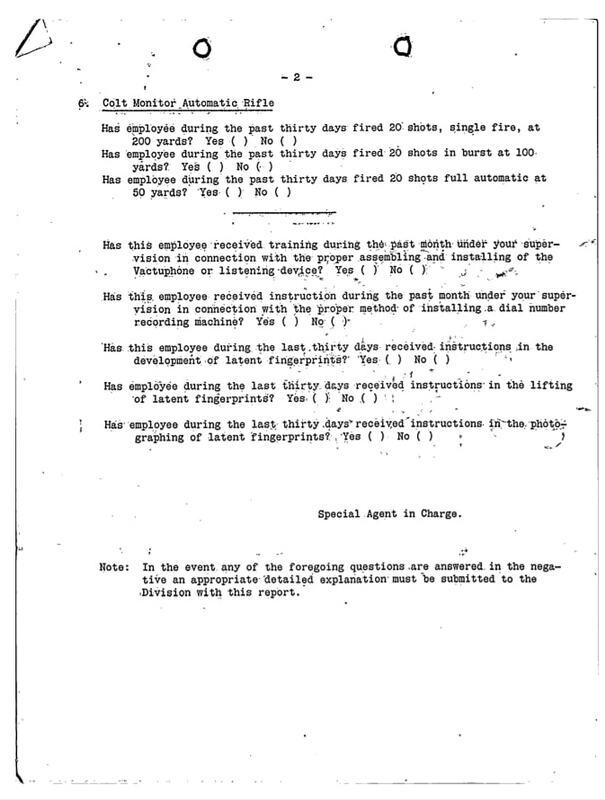 Colt only produced 125 Monitors. From factory records it can be shown that 90 were purchased by the FBI3 , 11 were purchased by the US Treasury Department and the remainder ended up at state prisons, banks, security companies, and police departments. 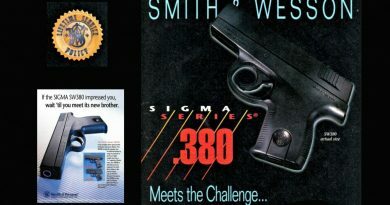 The Monitor answered the problem most law enforcement agencies were dealing with in regard to penetration or lack thereof by the 45 ACP round fired from the Thompson SMG. When 45 ACP would not penetrate a car body, the 30-06 most certainly wood. A Colt Monitor similar to the one Kevin Costner (as Frank Hamer) purchased; from a recent auction seen on Guns America. One of the more famous Colt Monitors was presented to retired Texas Ranger Frank Hamer from Colt for his mission to track down Bonnie & Clyde. It bears the serial number C-103168. This was (supposedly) the one depicted in the movie. This was one of the flaws in The Highwaymen movie. Whether or not Colt presented Hamer with a Monitor, he definitely did not buy one “off the shelf”. Because none of the 125 Monitors manufactured ever went to a civilian gun shop or sporting goods store, at least not in 1934. 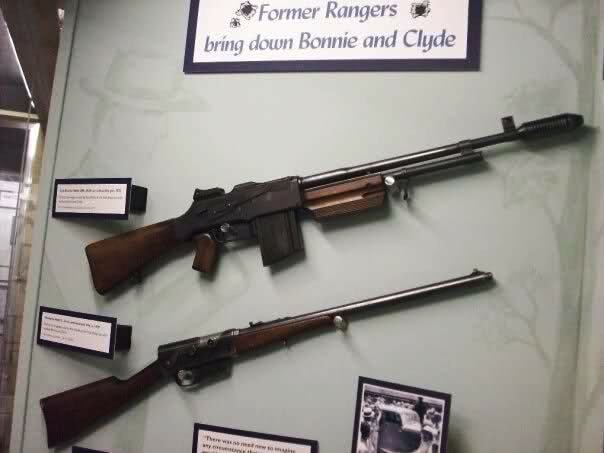 Weapons from the final Bonnie & Clyde gunfight, Texas Ranger Museum, unknown PC. The movie showed Hamer’s partner, Manny Gault using the Colt Monitor in the ambush of Bonnie Parker and Clyde Barrow. Hamer actually loaned the Colt Monitor to Dallas Deputy Ted Hinton. Hinton was a part of the posse because he knew and could identify on sight both Barrow and Parker. Some sources say that Hinton borrowed the Monitor from a National Guard Armory, when in fact he borrowed the Monitor from Hamer. The Monitor was never a part of any US Military inventory, much less a Texas National Guard Armory. If you can find one today that is transferable the price can range from $90,000 to $140,000 and one with a provenance such as Hamer’s would easily double that. You can see what’s available at Rock Island Auction, but you’re gonna want to ask for an increase in your allowance first. 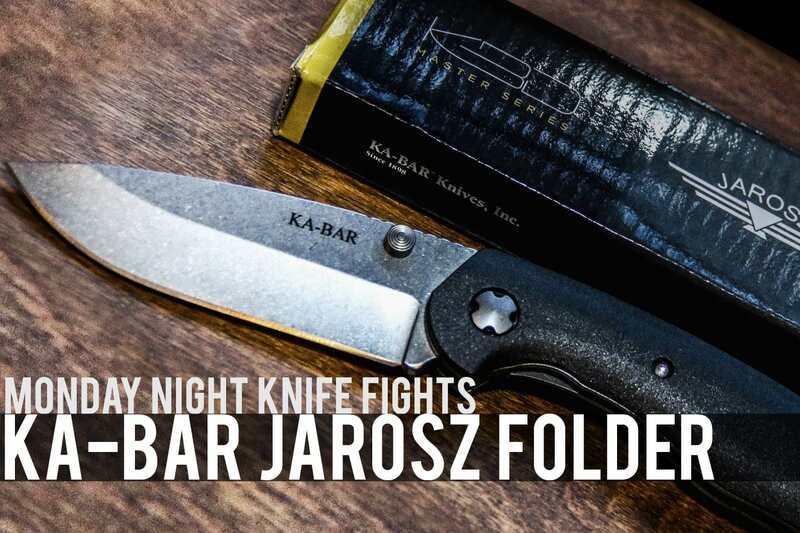 If you’re going to buy EDC gear from Bastion, use our code. Back us on Patreon for a bigger one (that’s what she said). Learn more about other “Forgotten Weapons” online. 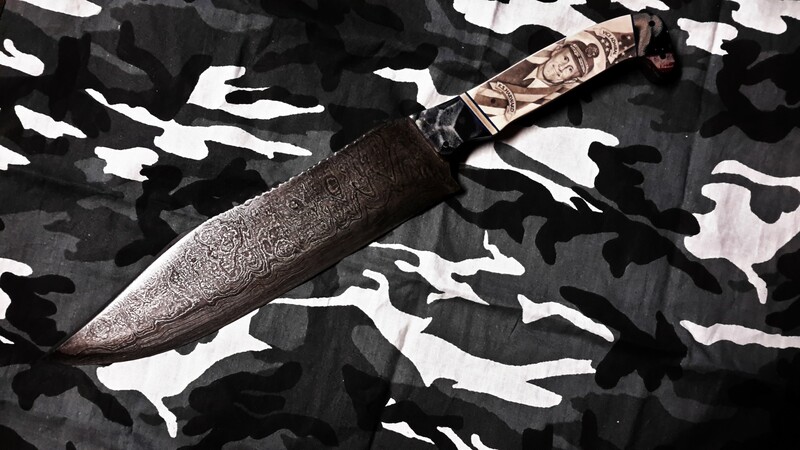 You might consider supporting Forgotten Weapons on Patreon (we do, institutionally and individually; you should too). There is a whole slew of historical videos on the Brownells YouTube channel. Just check out the From the Vault series. 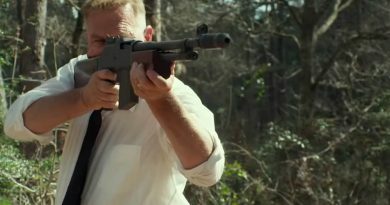 You’ll see Frank Hamer (Costner) laying down the hate with a Colt Monitor in the trailer, below. 1 Of course, it wasn’t just for law enforcement use. Some of the bad guys had them too. John Paul Chase used a Colt Monitor during the 1934 gunfight that ended the career of Lester Joseph “Baby Face Nelson” Gillis. 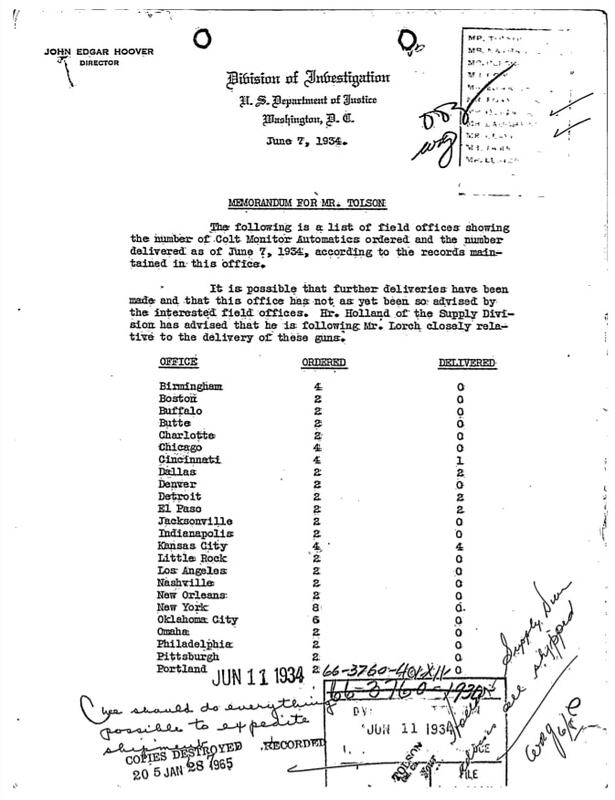 Special Agent Herman E. Hollis and Inspector Samuel P. Cowley of the Department (later Bureau) of Investigation were murdered in that encounter (Hollis was killed on the scene and Cowley died shortly thereafter. Cowley engaged, but he cannot have done too well, shooting from one racing automobile at another racing automobile on a ribbon of bouncing highway at high speed while the gangsters evaded—they tended to be superb drivers and Les was no exception—and answered in kind. They had three full- or semi-automatic arms: a Thompson in .45 ACP, a Winchester 1907 semi-automatic chambered in .351 Winchester Self-Loading (WSL) and finally, and most terrifyingly, a Colt Monitor, in high-powered .30’-06 Sprg., capable of shredding cars, “bulletproof” vests, most barricades and everything else on earth short of vault steel. But Chase, who was firing the Monitor, never scored the engine hits that would have put the agents out of the game. On the other hand, the gun cannot have been easy to handle. Though built by Colt and called a “machine rifle,” it was a tactically modified Browning Automatic Rifle, meant for police work, prison guards and industrial security. Colt had built 125 of them in 1931. And as good as it was for law enforcement, it was maybe even better for law breaking. 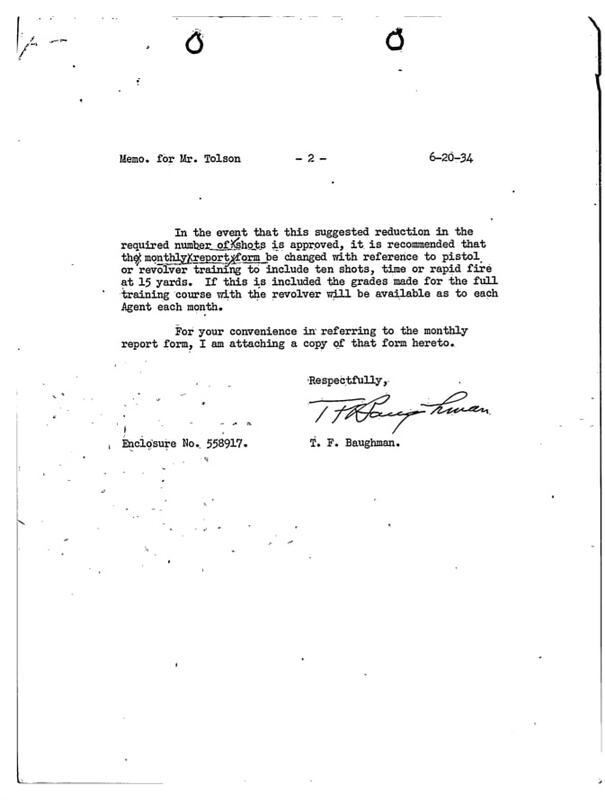 According to an FBI interview with Baby Face associate Joseph “Fatso” Negri, Les had sent two minions to New York to buy “this new machine gun, this new type.” You can readily see why: it was ideal for bank work. 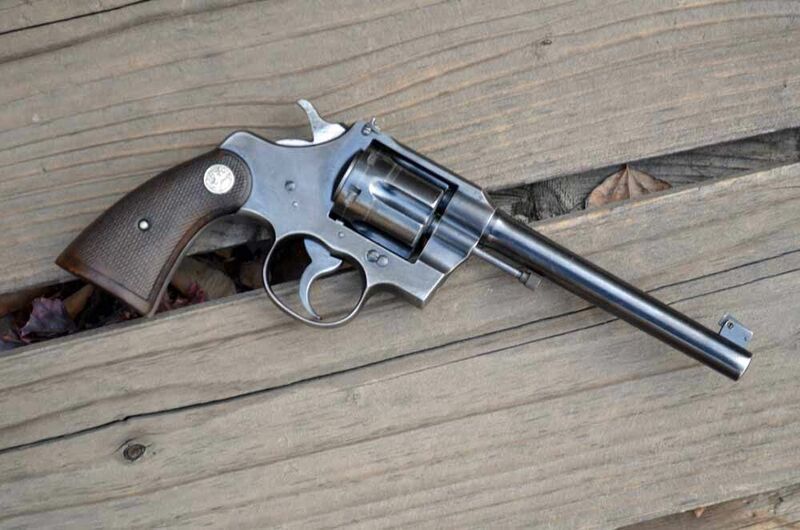 The Colt engineers had shortened the stock and barrel, attached a stubby pistol grip behind the trigger guard, enlarged the fore-end, generally lightened it to 14 lbs. 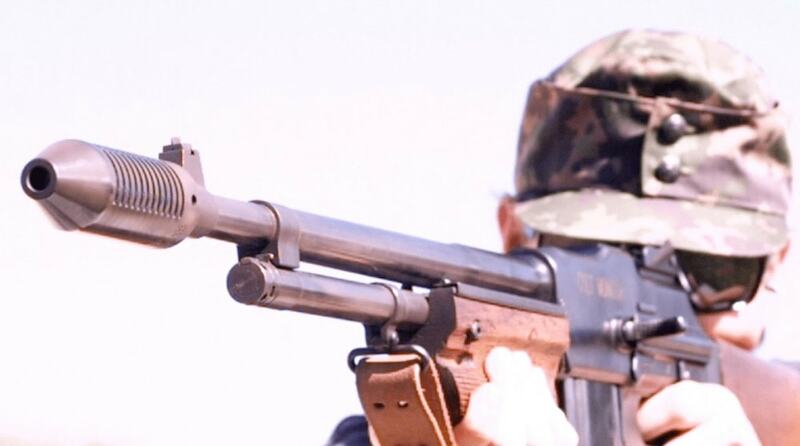 and attached a swollen, 12-slot Cutts Compensator to cut down on the muzzle rise that unleashing 20 .30-’06s in two seconds must inevitably generate. 2 If you’re researching the Colt Monitor, you probably ought to read Ballou. Tenicor makes superb AIWB holsters (and other rigs). If you’re going to buy one, use our code. 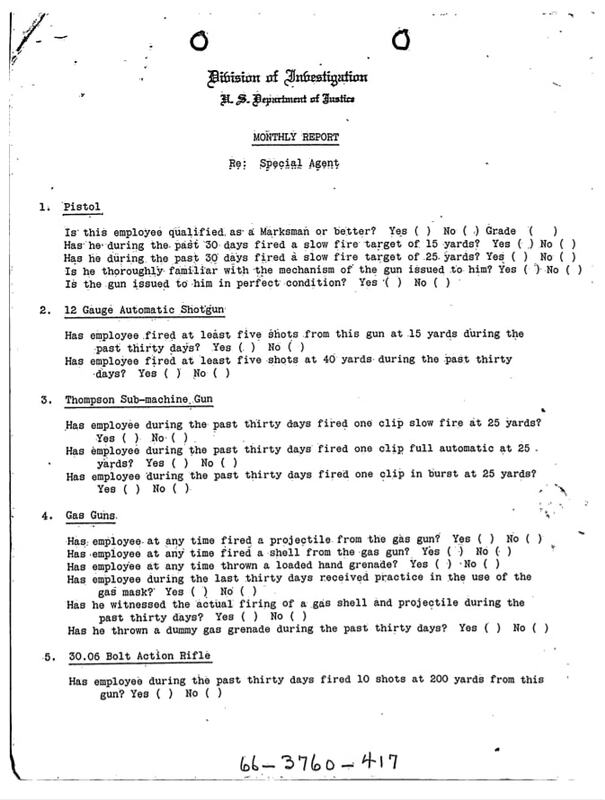 3 Early Dept. 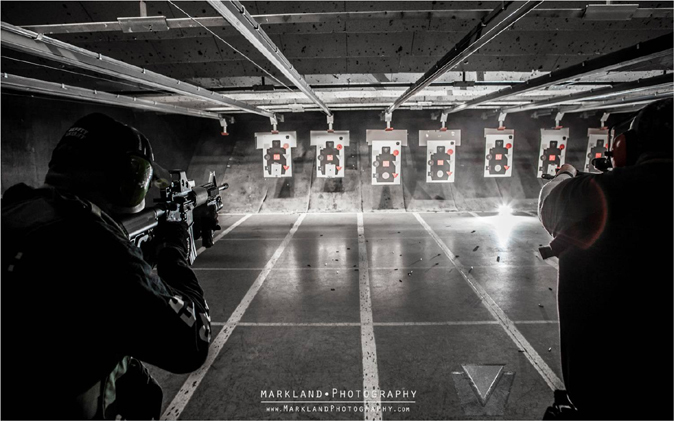 of Investigation training and courses of fire, to include the Colt Monitor. 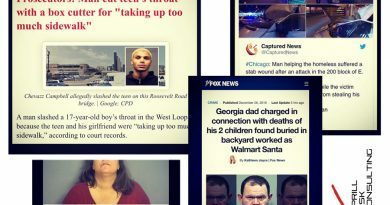 This article may evolve – we’ll advise on social, so follow Breach-Bang-Clear on Instagram. 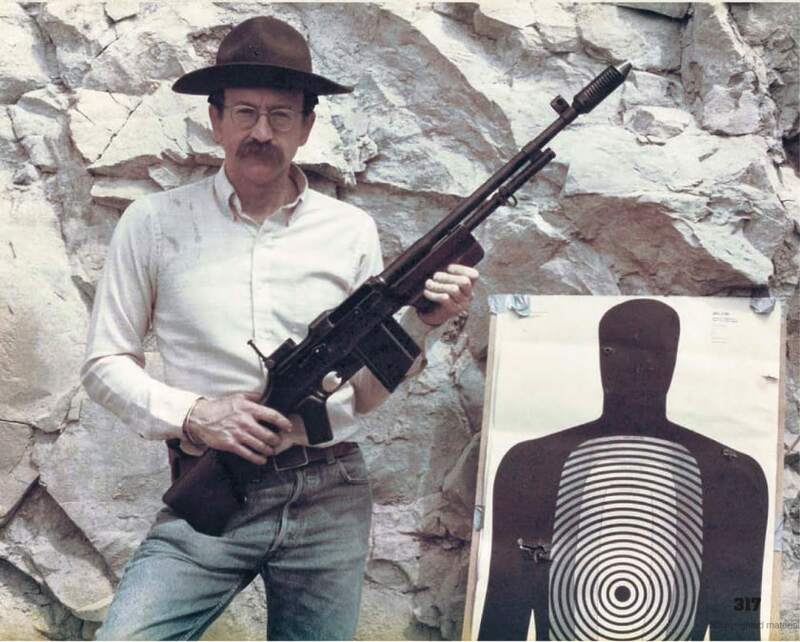 I thought that Frank Hamer used a model 8 in 35 Remington with a modified magazine in the ambush. Is this correct or not? “The movie showed Hamer’s partner, Manny Gault using the Colt Monitor in the ambush of Bonnie Parker and Clyde Barrow. 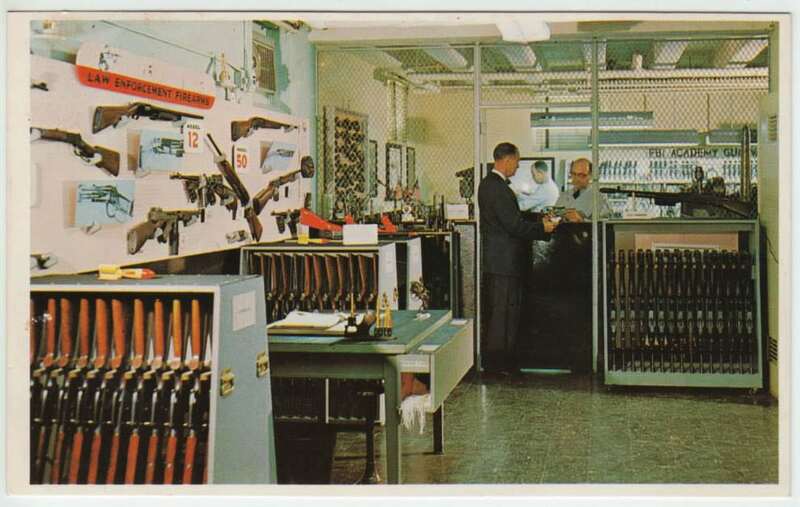 Hamer actually loaned the Colt Monitor to Dallas Deputy Ted Hinton. “re-enactment” film clip of their role in the ambush. 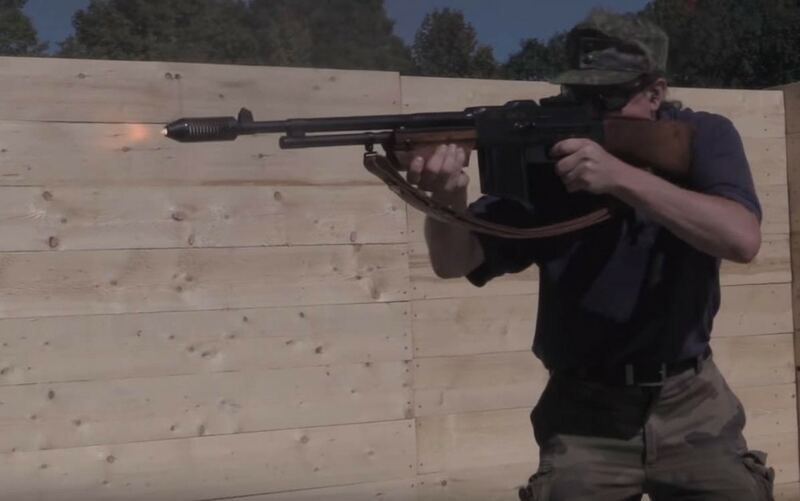 In this re-enactment film footage, Ted Hinton is not armed with a Monitor. Without a doubt he is armed with a full sized military BAR. The film shows him holding it in one scene and firing it from the ambush hide in another scene. This means one of two things. Either Hinton DID have a borrowed National Guard BAR or Hinton used one of the BARs seized out of Barrow’s car for the re-enactment.